TVS Motor Company is reportedly developing a new 150cc maxi-scooter, which is likely to launch in India before the end of this year. Based purely on media speculation, IAB's digital manipulator, Shoeb R Kalania has created a preview of the maxi-scooter - we'll call it the TVS NTorq 150. The TVS NTorq 150 is based on the TVS ENtorq 210 Concept maxi-scooter showcased at the Auto Expo 2014. Our artist has amalgamated design elements of the Entorq 210 Concept and the TVS Ntorq 125. The NTorq 150 will be the flagship scooter offering from the Chennai-based bikemaker. While the NTorq 125 is a sporty scooter, the upcoming TVS NTorq 150 feature relaxed ergonomics with a flexible foot-forward position. Apart from the design, the NTorq 150 will come equipped with a smartphone docking station and remote keyless entry. The maxi-scooter will source components like switchgear, speedometer, bar-end mirrors and other bits from the TVS NTorq 125. The TVS NTorq 150 will reportedly receive an all-digital instrument console with the Smart Connect system, which will support Smartphone integration via Bluetooth and turn-by-turn navigation. While the ENtorq 210 features a USD fork, the NTorq 150 is likely to come with conventional telescopic forks. 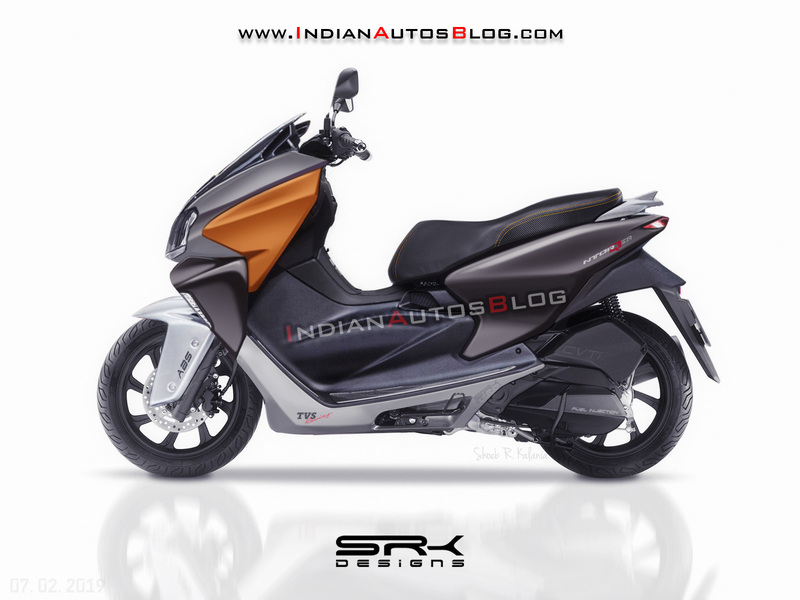 The maxi-scooter will reportedly offer a superior overall quality that one naturally comes to expect in a premium product that is priced at around INR 80,000. The TVS NTorq 150 maxi-scooter will borrow design cues from the TVS NTorq 125 (pictured) and the TVS Entorq 210 Concept that was showcased at the Auto Expo 2016. 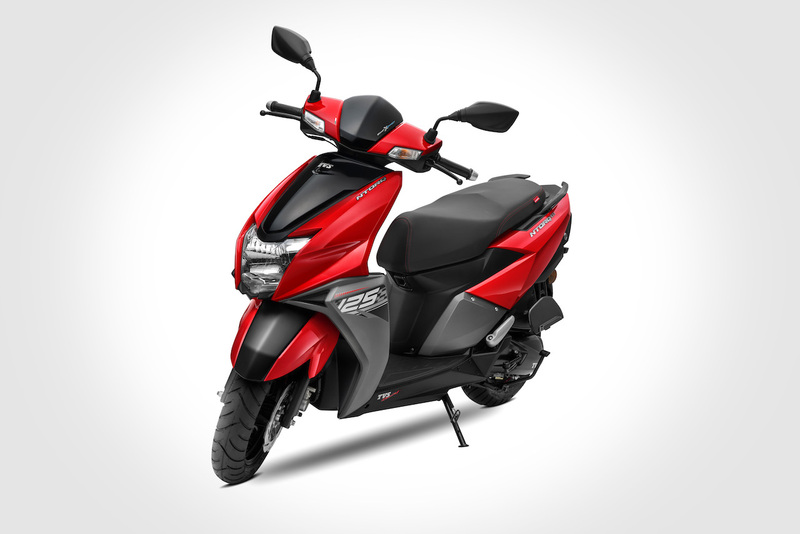 The maxi-scooter will employ an all-new 150cc air-cooled, single-cylinder, fuel-injected motor that will be paired with a CVT. The engine is expected to churn out class-leading power figures while getting a single-channel ABS unit. The new maxi-scooter will be a global offering from TVS and will be introduced in the various international markets where it is steadily increasing its presence.